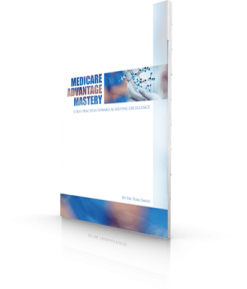 What have you done to ensure that you can create and leverage your Medicare Advantage contracts to achieve spectacular, sustainable results for you, your organization and your patients? Medicare Advantage Mastery is the essential blueprint to understanding and creating custom care delivery systems specifically tailored to your Medicare Advantage contract—a blueprint that will not only generate exceptional patient care, but will also engage your clinicians in ways unlike ever before. Delivering healthcare through shared-risk managed care systems creates strong partnerships between organizations and their clinicians–encouraging the creation of powerful value-generating collaborations. With incentives aligned, clinicians are empowered to unlock their exceptional talents, innovating ever more effective healthcare delivery systems– systems that will not only benefit your managed care patients, but all patients regardless of how they pay. 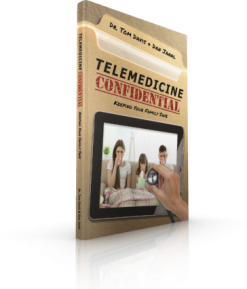 Are you freeing your clinicians and valuing their talent or are you burdening them with increasing demands? MACRA. MIPS. Meaningful use. All “quality” programs. Hard to understand, difficult to follow and expensive to execute. These rigid, complex requirements to meet “spec” serve not only to justify government fee-for-service payment cuts, but also manage to kill clinicians’ creativity and engagement—leading to workforce burnout, depression and early retirement. What are you doing to ensure the revenue streams from your Medicare Advantage contracts are sustainable regardless of funding levels? Are you simply grabbing market share and premium at the expense of the cost side of the equation? Fortunately, there is another option–accepting the responsibility of providing care to patients under an illness-adjusted global cap. In short: working under Medicare Advantage. Paying for care under a global cap turns the fee-for-service model on its head. Suddenly RBV generating procedures become deep cost centers, close personal relationships between patients and their primary care clinicians are recognized as essential and whoever can provide the patient the most efficient and individualized care wins. I have cared for my patients under just such a system for nearly twenty years. My partners and I signed one of the first total risk Medicare Advantage contracts ever offered and grew a small, small-town primary care group into a regional multi-specialty powerhouse. We unleashed innovations and leveraged this new model for spectacular growth–generating incredible value for our patients and our community. This unparalleled experience now informs the techniques I present in my new book, Medicare Advantage Mastery. I’m driven to help clinicians, administrators, insurers and organizations create systems that generate substantial and sustainable streams of value—true value that’s independent of ephemeral “quality” programs–as well as systems that are fully anti-fragile to today’s volatile environment of healthcare delivery.